Welcome to Run Under the Lights! 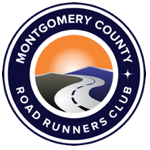 The Montgomery County Road Runners Club, in partnership with the City of Gaithersburg, Maryland, invites runners and walkers to participate in a 5K run/walk through the City of Gaithersburg’s “Winter Lights Festival” in Seneca Creek State Park on Saturday, November 23, 2019, at 6:00 pm. Winter Lights features more than 380 illuminated vignettes and 65 animated displays. Theme areas include Winter Woods, Teddy Bear Land, Victorian Village, North Pole, Toyland, and Penguin Cove. Given that this is a mostly FUN event, strollers will be permitted but must start in the back (no charge for the strollee). Children must stay in the stroller at all times. Registration is $35 for ages 15 and under; $40 for everyone else (16 & up). The event will be timed for those who wish race, however, walkers are also welcome. There will be a 900 participant (runners + walkers) maximum due to available parking at the park. The race has sold out within 10 days of opening for the past several years, DO NOT delay in registering!! Race registration opens on Tuesday Oct. 1st at 7:00 am. Due to parking restrictions at Seneca Creek State Park only 900 runners are permitted in this race.